What do I need to do to prepare for the donation process? Please donate to this worthy organization. Additional Services: Offers A Limited Clothing Bank Year Round And Gives Clothing Vouchers When Appropriate. Provides a food pantry. Serves Resident of Colebrook, Norfolk, Winchester/Winsted in need. Documentation Required: Birth Certificate for each child, Proof of residence and Proof of income Pantry hours: Tuesdays and Fridays 11am-1pm, Thursday: 6-7pm for working families who are unable to come during daytime hours. 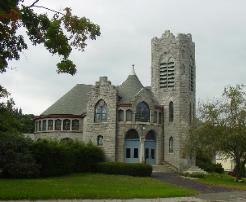 Contributions to the Winsted United Methodist Church are fully tax deductible. 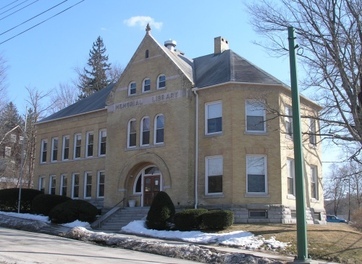 The Beardsley and Memorial Library was organized in 1874 when Mrs. Elliot Beardsley gave a sum of $10,000 to seven trustees to establish a library in West Winsted. In 1898 a bequest by Jenison Whiting made it possible to purchase land and the construction of the original building began. The library became a free public library in 1899. The library is a non-profit organization that serves as the public library for Barkhamsted, Colebrook, Winsted, and Winchester. Taxpayer dollars pay for utilities, books, and salaries, while interest on the endowment pays for building renovations. The library depends upon the generous support of donors to provide the items and services that the public enjoys. Please consider making a tax deductible donation to the Beardsley and Memorial Library. Accepts donations of adult and children's clothing, jewelry and boutique items, and small kitchen items for re-sale at thrift shop. Does not accept donations of furniture or large household items. Does not provide pick-ups.